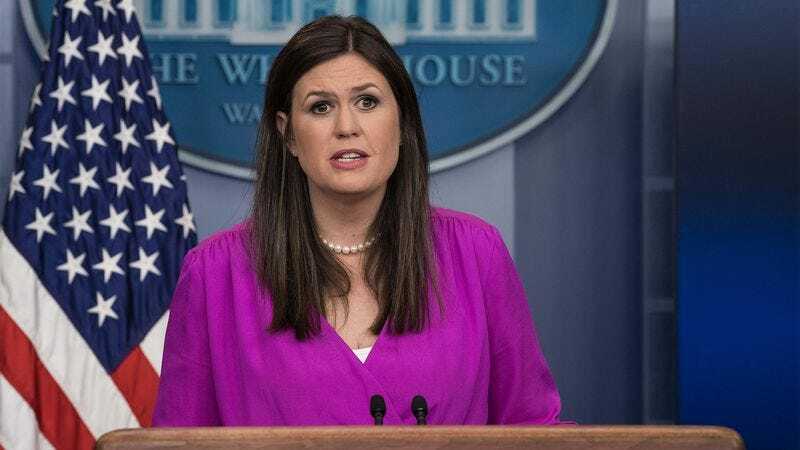 WASHINGTON—Deflecting questions in the aftermath of the mass shooting in Las Vegas that killed 59 people and injured over 500 more, White House press secretary Sarah Huckabee Sanders told reporters Tuesday that this is not the geologic era in which to debate gun control. “Out of respect for the families of the victims, we’re going to hold off on engaging in discourse over the regulation of firearms for a few eons,” said Sanders, adding that it would be premature to discuss enacting any sort of policies to prevent mass shootings until the next ice age has set in, likely long after the extinction of the human race. “Once the nation has had time to properly grieve and the continents have completed millions of years of tectonic migration to collide into one supercontinent, then we can bring this issue to the table. However, until a new dominant species rules the earth, it’s just not appropriate to address this issue.” At press time, Sanders said that a more realistic time to discuss gun control was after the sun expanded into its red giant stage and engulfed the planet.